Lemon fruits on cutting board. 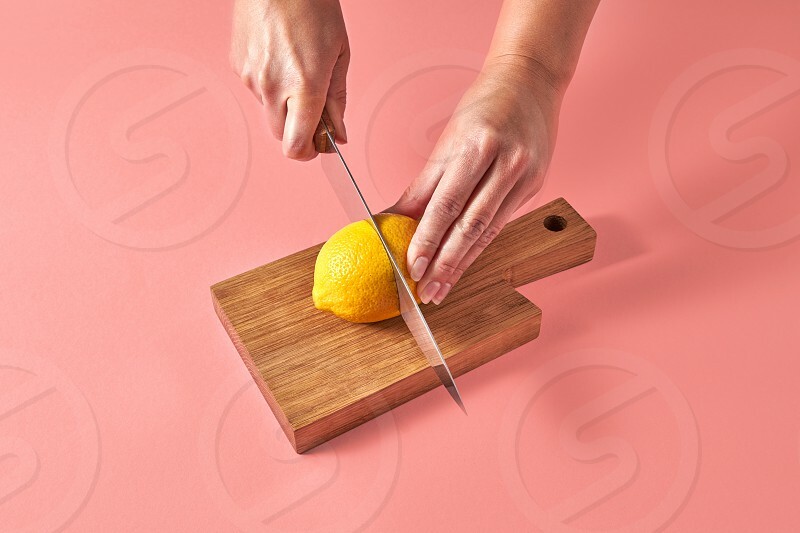 Female hand is cutting a yellow citrus on half on a wooden board on a color background of the year 2019 Living Coral Pantone. Concept vegetarian food.